Working in the veterinary field has always been a dream of mine. I decided that there was no better time than the present to pursue my passion. I graduated from Seneca's Veterinary Assistant program in 2017 and I begin the Veterinary Technician Program at Seneca this fall! 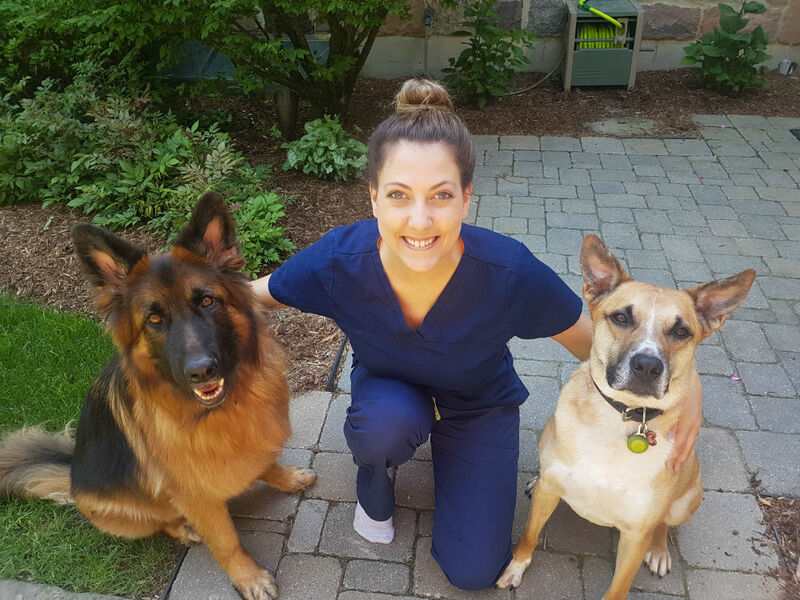 My favourite thing about College Manor Veterinary Hospital is the way the team works together and how each patient is treated with care, respect and lots of love. I love that I get to walk into work every day and be one of the reasons the animals feel better, even if it is just a snuggle. It is incredible seeing an animal that comes in feeling ill, leave happy and healthy. A fun fact about myself is that I spend my Sunday's cooking, I like to think I am good at! I have also rescued all of my animals, my two cats Stella and Link and my Shepherd-mix, Zeus!